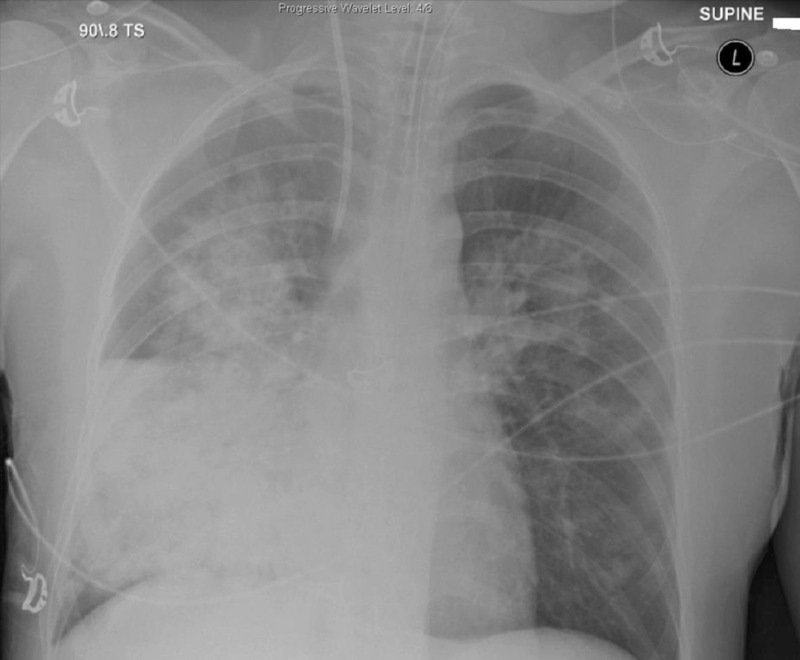 This is an AP supine CXR. The most striking findings are bilateral alveolar opacities in the upper zones and a confluent opacity in the right middle and lower zones. Q2. What are the causes of alveolar (airspace) opacities? Alveolar or airspace abnormalities implies different undlerlying causes to interstitial opacities. Q3. What are the differentials of interstitial opacities?